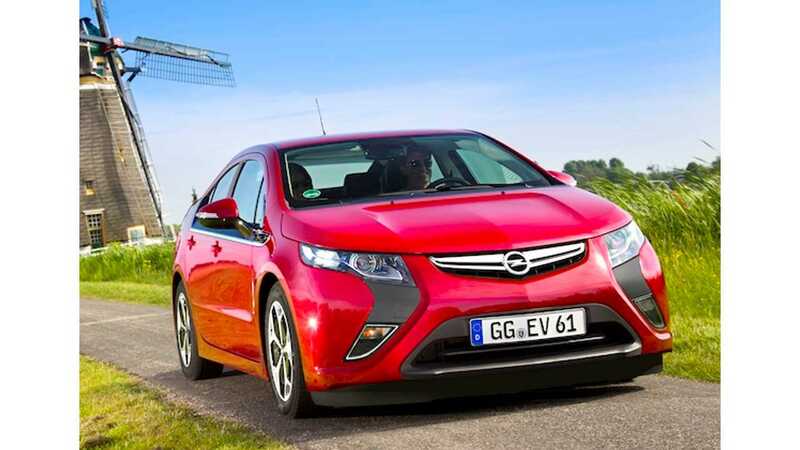 GM Blames Europe For Poor Ampera Sales, Calls Demand "A Disappointment"
General Motors Vice Chairman Steve Girsky is not happy about the way the Opel/Vauxhall Ampera has been received in Europe, and he is going to let everyone know it. In a report filed by Automotive News Europe, the Vice Chair of GM told the publication, "All the governments in Europe said, 'We want EVs, we want EVs. We show up with one, and where is everybody?" How Could This Print Shot Have Not Inspired Europeans? Originally, GM had estimated the first year of Ampera sales in Europe to be around 10,000 - 12,000 units (6,000 for Opel, 4,000 for Vauxhall, 2,000 for the Volt). However, by the time 2012 was in the books, only around 5,500 were sold. Mr. Girsky noted that the 2012 result, and ongoing demand, for the extended range plug-in were "a disappointment" for General Motors. This come-clean moment by GM on the Ampera has been a long time coming. Every month we dutifully report on the Chevrolet Volt sales in the US, and every month we note that the General has all but stopped production on the Ampera, and that the car should quite likely be pulled from the European market..that is, if GM was looking at the vehicle simply from a financial, return on investment, point of view, and not as a halo product. That is 69 cars in 5 months. One more time - sixty-nine cars; and these are not Ferraris we are talking about. In truth, a poor result in Europe comes as no surprise internally to GM executives, as the company knew fairly early, perhaps even before the first car was shipped across the ocean, that it would be an uphill battle to market the car to Europe. They merely did not know the scope of how badly it would be received. The first indication the Chevrolet Volt would have difficulty in Europe was the fact the car was rebranded as the Opel/Vauxhall Ampera in the first place. The Chevrolet brand is not the powerhouse in Europe as it is in the US. In fact, it is a detriment to being a top-selling car, so not only did the name need to change to distance itself from the Chevy Bow tie, the look did as well. A light refresh, which many US customers ironically seem to prefer, was in order. The second indication the Ampera was in trouble was when the car actually went on sale. By early 2012, GM touted over 7,000 pre-orders for the Ampera, unfortunately, about 3 out of every 4 orders were for fleet and corporations, and over half of all sales were out of one country, the Netherlands. They knew then that the public simply had no desire to own the car as it was being offered. Today, there is perhaps 2,000 Amperas in hands of individual consumers since the car went on sale in February 2012. 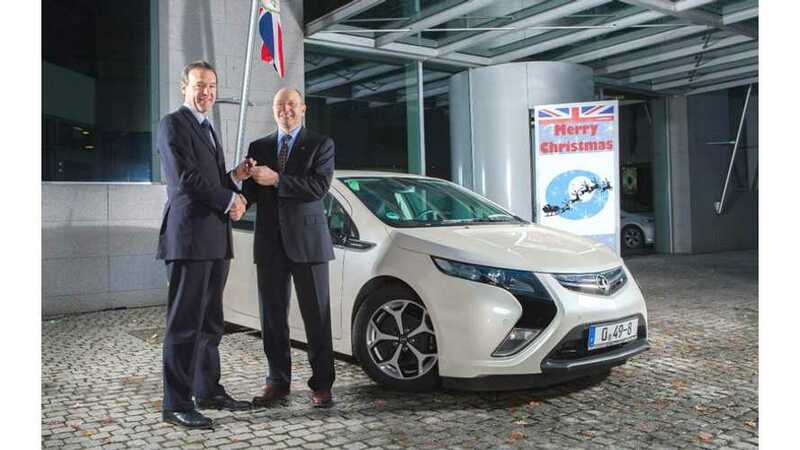 Will the Ampera continue to be sold in Europe? According to Mr. Girsky it will be, as GM "is willing to absorb some losses on this because it's new technology," as GM works to get the price down on the Ampera in the second generation. In the meantime, the GM executive wants European taxpayers to make up for the public's disinterest in the car by having Euro-governments either buy more cars, or increase the incentive to buy one, "We're hoping for some support from other places, whether its subsidies or infrastructure help or something like that." What also might be helpful, is not selling the car at £35,255.00 ($53,500 USD) in the UK, and €42,900 ($56,000 USD) elsewhere in Europe, when there are other decent plug-in solutions (like the Renault Zoe) at half the price...or something like that.